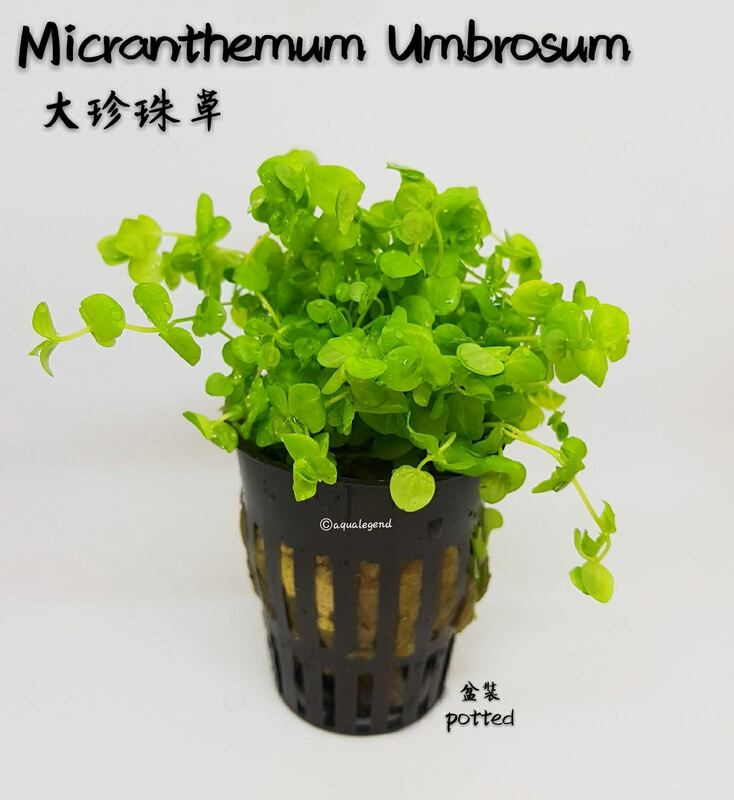 Micranthemum umbrosum is a beautiful plant from US with small round leaves. It is suitable for small or large aquariums with stems becoming 10-25 cm long and 1-2 cm wide. Relatively demanding in terms of light. CO2 addition is recommended to promote growth. Once the plant starts growing it grows fast, and the shoots have to be pinched out often (can be planted as cuttings in the bottom). Most beautiful in groups of many stems.